03/07/2019... Due to a Georgia Supreme Court Ruling, the Prosecuting Attorneys’ Council recommends that police stop administering the breath test in Georgia. 02/14/2019... As of January 1, 2019 doctors in the Phoenix metropolitan area will only able to write prescriptions for opioids online. 02/08/2019... The first drunk riding arrest for riding a popular ride share electric scooter in Arizona’s Valley of the Sun. 02/01/2019... If you are planning to attend the Waste Management Phoenix open and plan on drinking, an alternate method of transportation to and from the event is encouraged. 01/17/2019... Utah was the first state to adopt the 0.08 BAC law in 1983 and recently the only state to adopt a .05 BAC level. 01/10/2019... The new Scottsdale, AZ ordinance in regards to Scooters defines “all bicycles and scooters, electric or otherwise” as electric and motorized bicycles, motorized skateboards, motorized play vehicles and stand-up electric mini-scooters. 12/29/2018... Police can charge you with vehicular endangerment even if no one was hurt or killed. 12/28/2018... Should you find yourself in need of legal assistance over the New Year holiday, the Law Office of Aaron Black will be available 24 hours a day. 12/26/2018... Tracy Morehouse was sentenced to 10½ years in state prison for causing the death of Greg Dolphin while driving intoxicated. 09/27/2018... Your license may have been confiscated by Phoenix law enforcement when you were stopped because you refused to submit to a field sobriety test. 08/04/2018... If you think you may fail a breath test you have the option of refusing to take the test. 07/26/2018... Motorist under the age of 21 caught drinking and driving or in physical control of a motor vehicle in Phoenix will face a Class 1 misdemeanor. 07/04/2018... Should you need legal assistance over the 4th of July holiday weekend, the Law Office of Aaron Black will be available 24/7. 06/21/2018... Under the Per Se Doctrine, your driver’s license will be suspended for 90 days if you’re arrested in Scottsdale on suspicion of Driving Under the Influence. 06/14/2018... A.R.S. § 28-1321, states that refusing to submit to tests measuring the level of intoxication by breath, blood, or urine samples results in a suspension of your driver’s license. 06/05/2018... Immediately seek a seasoned Extreme DUI defense attorney to protect your rights who can present a thorough and aggressive defense as Extreme DUI cases often go to trial. 03/28/2018... I am pleased to announce that I have been chosen as one of the top 3 DUI Lawyers in Phoenix by ThreeBest Rated. 03/20/2018... As an attorney defending all levels of DUI charges I know exactly what the prosecution will do and I’ll analyze its evidence for flaws and build a defense. 03/08/2018... Corned beef and cabbage and free-flowing green beer. What could go wrong? 03/01/2018... Your blood alcohol content (BAC) can be affected by factors such as metabolism, age, and gender. 01/11/2018... Over 2,554 partiers avoided a DUI on New Year's eve in Phoenix by utilizing Uber. 09/22/2017... Arizona law requires that you personally give consent to the chemical tests. If you refuse the Officer must get a warrant. 09/08/2017... Winkle agreed to a plea bargain in Tempe in which the charges were reduced to an extreme DUI. 09/01/2017... Do not drink and drive this Labor Day. However, if you are arrested for DUI in Phoenix over the Labor Day weekend give Aaron Black a call at 480-729-1683 to get your defense started. 04/28/2017... My feeling is that the nomination is a testament to my continual dedication to my clients. 04/24/2017... Men and women absorb alcohol differently. 04/18/2017... Although Tent City is closing the current residents including DUI offenders will be sent to other detention centers to finish out their time. 04/13/2017... Did you know that the risk of a stroke doubles after a single drink? 03/29/2017... Arizona does not have a specific law in place in regards to a threshold of THC. 03/15/2017... The legal drinking age in Phoenix is 21. 02/17/2017... The Phoenix Open was recently held and Scottsdale police are getting creative in an effort to curb drinking and driving. 02/07/2017... Depending on your circumstances you may be able to serve your time at home. 11/25/2016... If the Extreme DUI charge was outside of the 84 months from your first DUI conviction it is especially important to seek legal council. 11/22/2016... Did you know that even one two drinks can get you arrested for a DUI? 11/11/2016... A felony DUI conviction may limit working in your chosen field. 11/01/2016... An ignition interlock device is installed on your car to deter drinking and driving. 10/25/2016... SR-22 is essentially a high-risk insurance policy. 10/03/2016... The Grand Jury's role is to determine if probable cause exists to formally charge a defendant with a crime. 09/19/2016... You could have your Driver’s license revoked for a year which means no driving at all. 09/06/2016... Depending on the blood alcohol concentration and history, jail can range from 1 day to 6 months for misdemeanors and up to 15 years. 09/02/2016... With the three day weekend in sight plans will be made for BBQ’s and family time or maybe one more trip around the lake. 02/28/2015... ARS 28-1385 Admin per Se is a 90 day suspension because MVD believes your blood alcohol level is over a .08BAC. 02/24/2015... If you are arrested for a DUI in Scottsdale there are certain qualifications you need to look for when deciding to hire the best lawyer for you. 02/23/2015... If you are arrested for a DUI in Phoenix, Arizona the best thing you can do for yourself is hire a lawyer. 03/02/2014... If you have been charged with Aggravated DUI in Maricopa County, Arizona you are facing mandatory prison time if convicted. 02/27/2014... Not only is Aaron Black a Phoenix DUI Lawyer, he is also a Scottsdale DUI Lawyer. 02/24/2014... If you were arrested for a DUI in Phoenix, Scottsdale, Tempe, Glendale, Peoria or Mesa, there is a good chance you will serve most of your time on home detention. 02/20/2014... When someone is accused of DUI in Arizona and their BAC is over a .08 MVD will try to suspend your license for 90 days. 02/01/2014... Watch out! DPS is steppig up DUI patrols on the Valley's freeways over Super Bowl Weekend. 06/19/2012... When you are arrested for DUI in Arizona MVD is going to suspend your license if you blood alcohol level is over a .08. 01/29/2012... Vehicular Aggravated Assault is typically charged if someone is drunk (DUI) or speeding and causes physical injury to another person. Often times the person hurt is the passenger and/or best friend of the driver making it difficult for someone to understand why they are charged if the victim does not want to press charges. 01/24/2012... If you were arrested for DUI in Phoenix you may be wondering why you were charged with Extreme DUI. Extreme DUI means your BAC was over a .15, and you could be facing a mandatory minimum of 30 days in jail. 01/21/2012... YES. Even if you have a prescription for Marijuana - do not drive. It is not worth it. 01/17/2012... This is the license suspension issued by the Arizona Motor Vehicle Department if you have been arrested for DUI. 01/14/2012... No. In Arizona your license will not be suspended if you refuse the PBT (Preliminary Breath Test). 01/12/2012... There are many ways to pay. 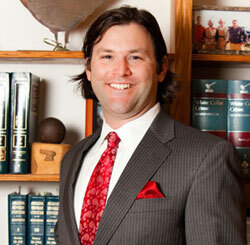 Speak with Phoenix DUI Lawyer Aaron Black to see what arrangements can be made. 01/07/2012... 4,175 people arrested for DUI over the holidays in Arizona. 01/06/2012... Then you may have a good defense. 01/04/2012... Why am I charged with Aggravated DUI? 01/04/2012... I highly recommend that you retain a DUI Lawyer if you have been charged with drinking and driving. 01/02/2012... No. Your case will not be dismissed. 01/01/2012... Arizona has reduced the penalties for DUI, but there are some serious changes that you must know. 12/30/2011... The police look for approximately 20 different signs of impaired driving in addition to many other driving infractions. 12/29/2011... Yes, but there are defenses. 12/28/2011... "Impaired to the slightest degree" is a legal term that basically means, kind of tipsy. 12/26/2011... Are you one of the unlucky? 12/24/2011... Yes, you do if you ever want to get your license fully reinstated. 12/20/2011... KTAR.com reports that the DUI Holiday Task Force is in full operation.